Chiang Rai remains a sleepy rural town in the Northern mountains of Thailand. However, while a lot more relaxed than its sister town Chiang Mai, Chiang Rai has a lot to offer than just being the chilled out side-kick. With its pleasant atmosphere, you can spend days here exploring its collection of temples and art while experiencing the diversity of its nightlife and entertainment. To me, there’s just something about a developing city. It gives you a chance to see its original charm while also getting to see what it’s evolving into. Located in the mountains, it’s obvious that the natural beauty attracts outdoor enthusiasts and travelers alike. 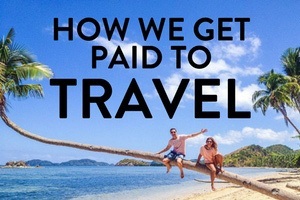 Therefore, expect a diverse range of activities and adventures to be had. 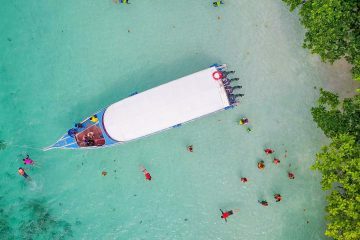 As well as activities, this small province is also worth getting to know for its relaxed vibes, good-value accommodation, and great local food. Chiang Rai is all about chilling out and taking it in slowly, savoring each moment as it comes. 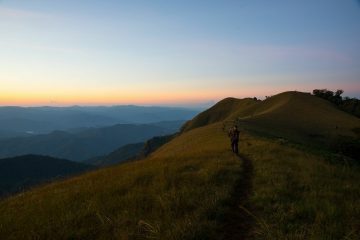 As you guessed, trekking and hiking is extremely popular in Chiang Rai and why wouldn’t it be? The area has incredibly diverse landscapes so you could find yourself trekking through the jungle, tea plantations, or villages in the same day. Some tours that are long treks even include you staying in the tribe villages overnight, so you get this amazing experience as well as taking on the physical challenge. Tribe people are so friendly, so you’ll definitely make some memories cooking, eating and laughing together! If you’re unsure what treks to do, these are a few popular routes. Not so up for a physical challenge? You can easily plan your own walking tour to some pretty cool places. You could even rent motorbikes to cover larger distances and then do your own small trek to one of the many hot springs and waterfalls. 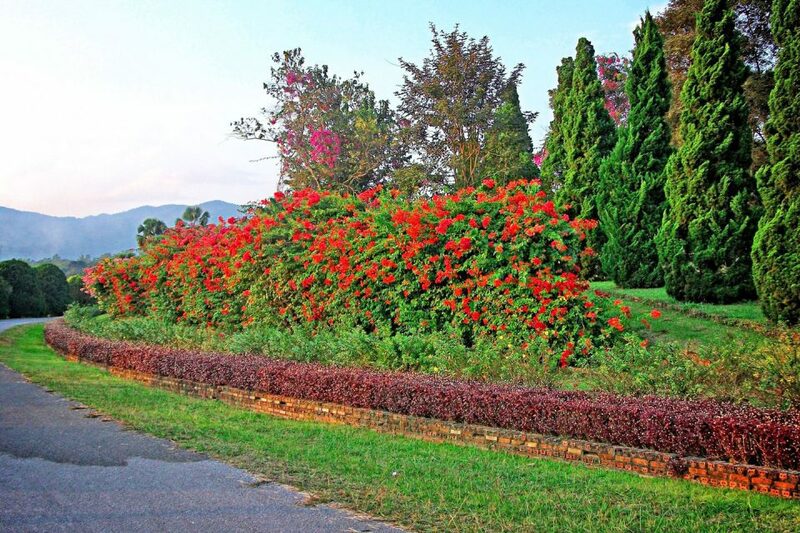 As Chiang Rai is located in Northern Thailand, the temperature is a little bit cooler than the rest of Thailand, allowing flowers and other plants to bloom endlessly. While neither attraction is particularly amazing on their own, the surrounding country and views are breathtaking. It is actually worth just coming to this area for a lazy bike ride or motorcycle journey if you don’t have time for anything else. However, if you do have time, check out these sites. In a chamber within the side of a limestone cliff, you will find a dusty Buddha statue. This is Tham Tu Pu which takes a steep set of stairs to get to. Further down the same road, you’ll then reach Buddha Cave. Here you’ll see the tiny Buddhist temple, complete with a lone monk and numerous cats. Quirky right? 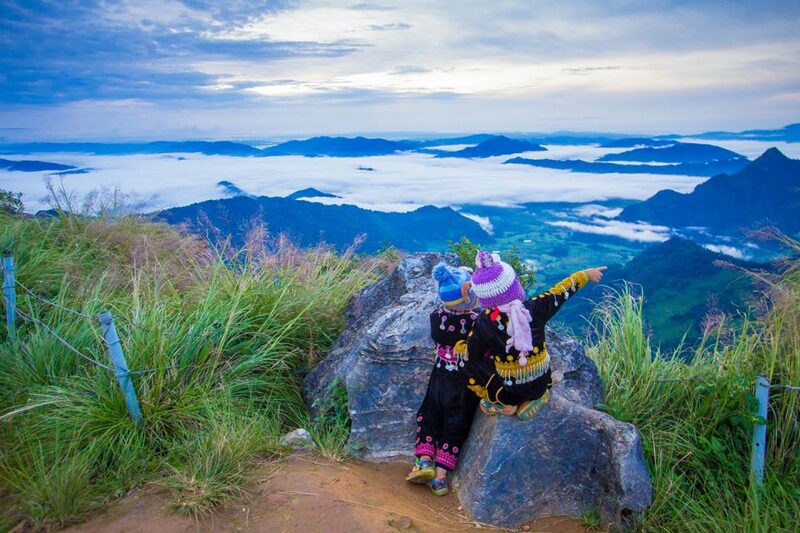 While you’re in Chiang Rai, it would be madness to miss the views from Sop Ruak. Known as ‘the center of the Golden Triangle,’ the trip up to this viewpoint is worth it when you see Laos, Myanmar, and Thailand meet over the river. For people who don’t enjoy an amazing photo opportunity, it might not be worth the trip, but for those of you that do you can’t miss it. Travel here by car or bike and climb the few steps to the platform. If you’re really active and want the reward of the view, then you can hike your way to the top! 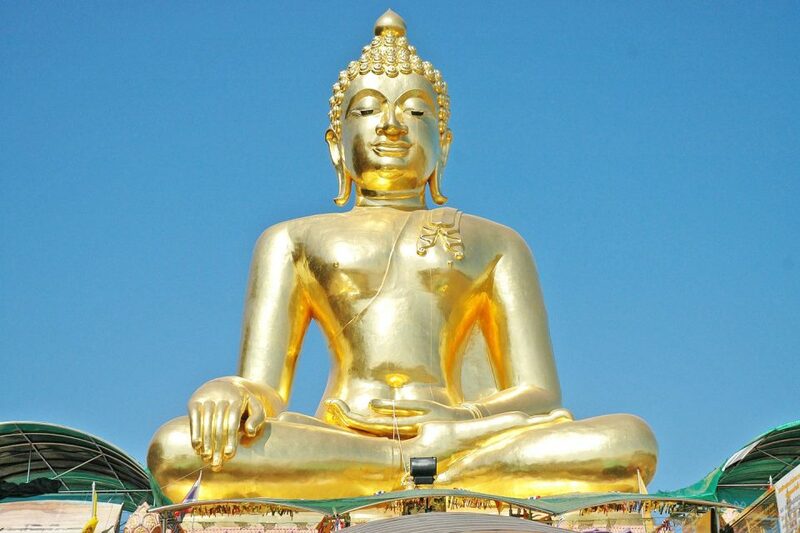 Instead of just booking a trek or using Chiang Rai as a stopover, take some time to explore it. You’ll soon stumble upon local villages, hidden waterfalls, and areas that just make you feel like you’ve stepped into the wardrobe of Narnia. Hire a motorbike and venture off the main roads and out of town. Explore the realms of the surrounding mountains. 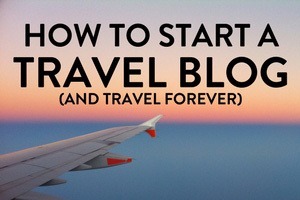 It won’t take you long to feel like you’ve discovered a whole new world, so here are some places to start. Like I said, Chiang Rai is a chilled out place so it really doesn’t do the party scene. 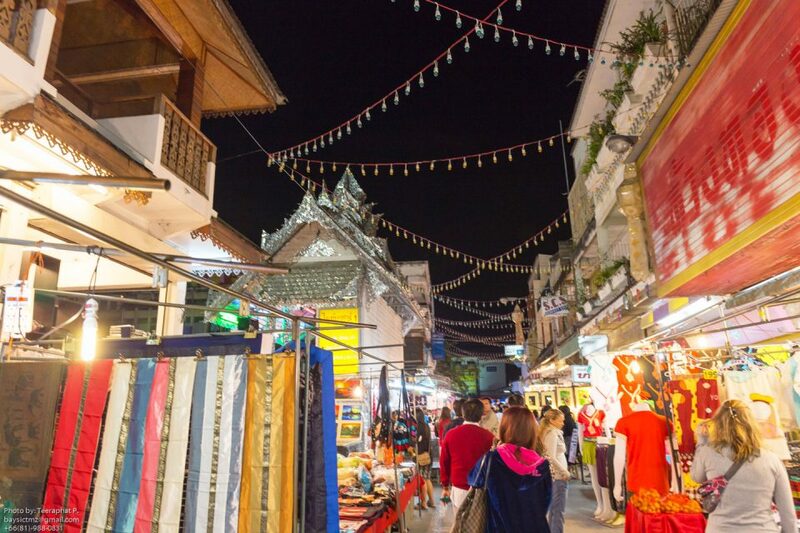 Most people like to hit the Night Bazaar or Walking Street to have a few beers and street food in the open air. Rather than flashy clubs and loud pubs, you get to take it slow and listen to live music, socialize over drinks or pool, and generally have a pretty relaxed evening. I don’t know about you but that sounds perfect to me! Cat Bar is a popular spot for backpackers, probably due to the live jam sessions with the owner and his guitar! My favorite experience in Thailand was riding the Mae Hong Son loop by motorbike, so I would jump at the chance to do this in Chiang Rai. A 470km scenic drive, you will ride along main roads to winding mountain roads and in some places along riverside roads and through small villages. There is nothing like zipping past all these amazing landscapes with the sun on your face and the wind in your hair! 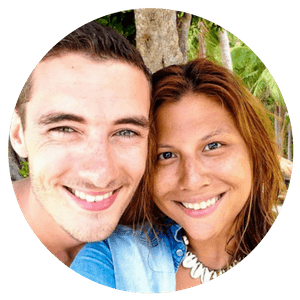 Check out this website , set up by expat bikers based in Chiang Mai, for trip ideas. Although small, Chiang Rai has a crazy dining scene! Seriously, you will find anything you want here. As well as the typical street food stalls, you will find a massive range of European cuisine, from pizzas and fish & chips to Mediterranean tapas and Swedish baked goods. 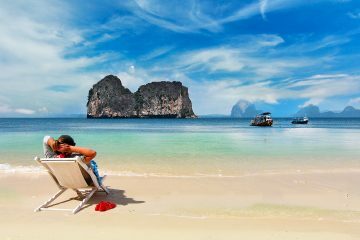 It might sound crazy, but it’s all down to the active expat community. For Asian and budget eateries, head to Banpaprakan Road, West of the Clock Tower. This road is lined with family-run restaurants which are crazy good. For more culturally diverse dishes, Jet Yod and Phaholyothin Roads are full of all your homemade and comfort treats. Who knew you could get homemade ravioli and shepherd’s pie in Asia? 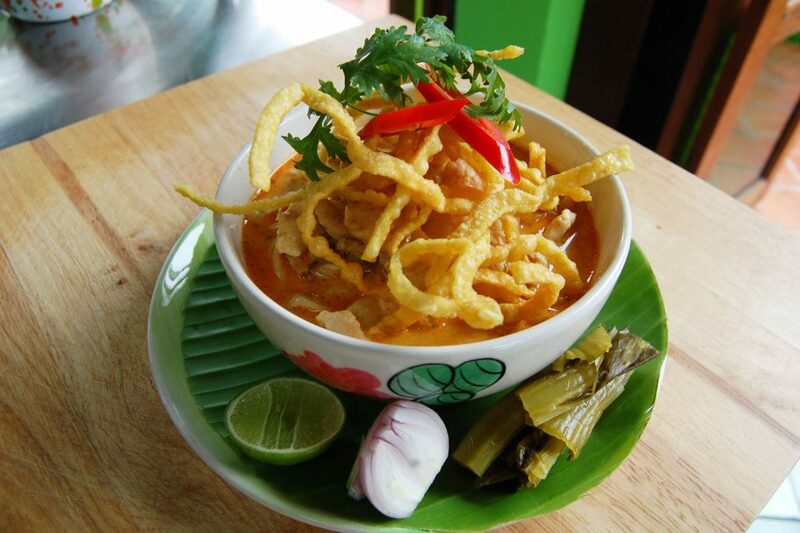 However, while in Northern Thailand, a hot piping bowl of Khao Soi is a MUST! With Asia comes temples, by now you’ve probably realized that they kind of coincide. As a traveler, you must have seen many, but with every temple comes a different history and you remember why you can’t get enough. In Chiang Rai, the temples are very spread out so there are many that tourists don’t tend to venture to. Spend a day temple hunting and you’ll come across some beauties all to yourself! 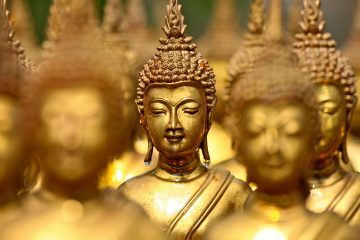 Here’s our top picks for temples to visit. 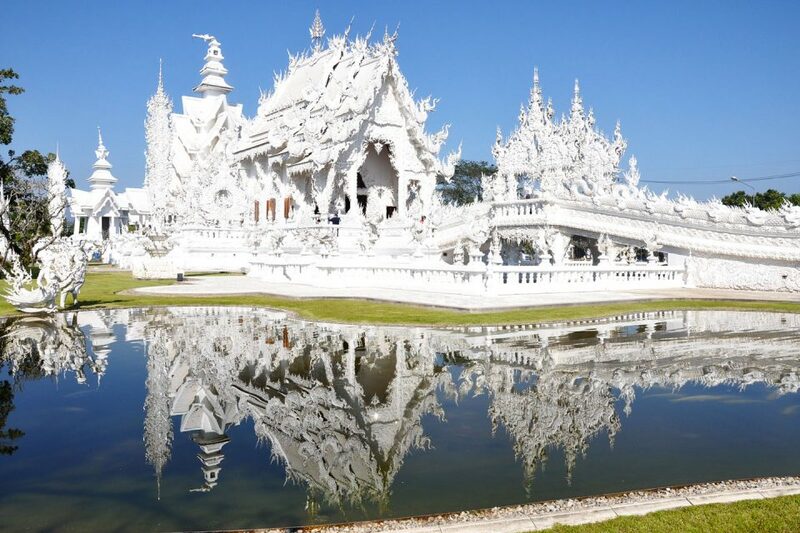 Rightfully so, the white temple tops the list as it is one of the most spectacular temples in Thailand. Wat Rong Khun (White Temple) – this temple is supposed to have the most beautiful toilet in Thailand. Not even kidding. 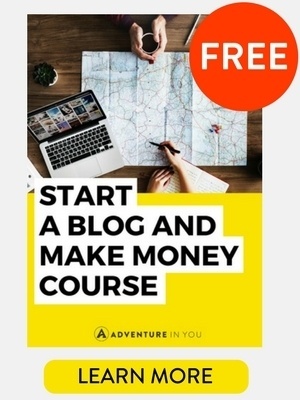 Go check it out and see why! Wat Huai Pla Kung – a mammoth triangular temple topped with a giant buddha! Wat Phra That Doi Tung – mountain temples have the best views! Insider Tips: For all the temples in Chiang Rai, you can easily get to them by songthaew or hiring bikes. However, when visiting temples we always say to remember to be respectful. Cover your shoulders and knees with a light scarf, and always ask permission if you want to take pictures of people. Oh and sunblock, a water bottle and a fan is a must too! If you are into art and culture, Mae Fah Luang houses one of Thailand’s biggest collections of Lanna artifacts. The compound itself also boasts antiques, contemporary art, and stunning murals. Even without all of these interesting collections that ooze history, the grounds themselves are also charming. Full of Buddhist temples and other structures, it’s the perfect place for a leisurely walk around. Located 4km west of Chiang Rai center, you can get a tuk-tuk or taxi here for about 100 THB. Read: Standing above the Clouds at Phu Chi Fa Another little town with so much to see and do! 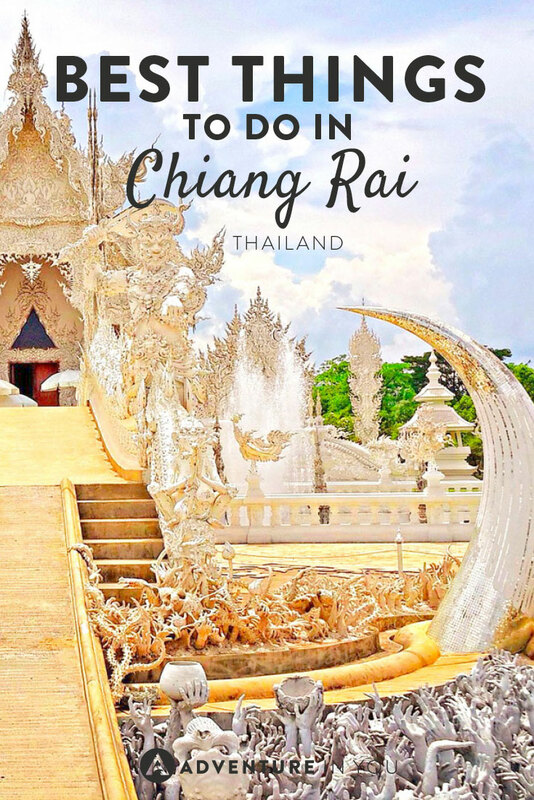 Chiang Rai may not be as well known as Chiang Mai, but it is definitely worth the trip. Now all is left is to go and get active, experience its culture and eat the food! If you’ve had enough of this place, you can travel from Chiang Rai to Laos by the border town of Huay Xai. From there, you can carry on adventuring in Laos. I was in Chiang Rai for a few days this summer and liked the temples in town as well. Although most people forget about them and only see the ones outside of the city like the white temple.